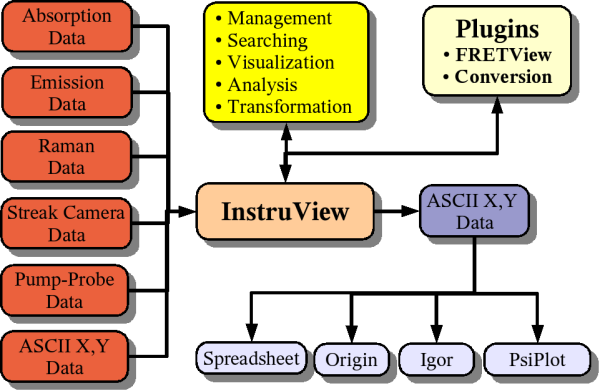 We have all head the term "One Ring to Rule Them All", well I like to think of InstruView as "One Program to Rule Them All". 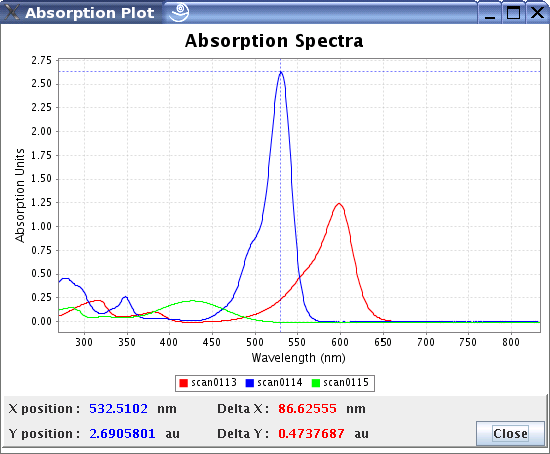 By that I mean, all the different spectroscopy data sets generated through the course of a research project. Once I really got going on my research, I quickly realized that needed an effective means of keeping track of all the data I was generating, aside from my notebook of course. 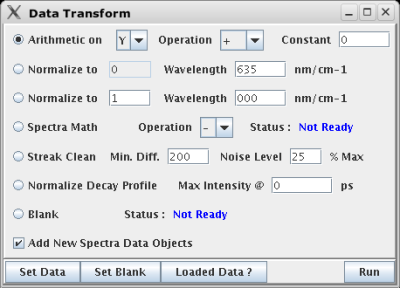 The problem was that every time I needed to view sample spectra, I first had to go to my notebook and see what file it was saved in. Once I got the file, I then had to go through the whole process of using one of the bloat-ware scientific plotting programs out there (Igor, PsiPlot, Origin, Sigma Plot etc...) to do this simplest of task. What I needed was a program that managed and "played" my data much like any half decent MP3 program does with music files. And that's exactly what I am trying to do with InstruView. Short for Instrument View. 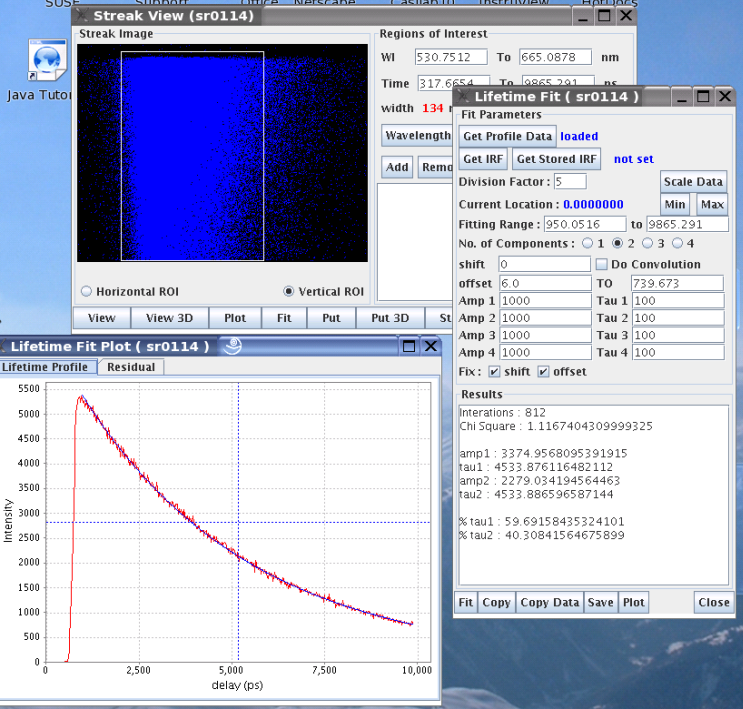 With InstruView you can quickly import, view, transform and analyze spectroscopic data. And once this data is saved, it can later be search through it like MP3 files. Take a look at the flowchart and the screen shots below to get an idea what the program is all about. You can also DOWNLOAD and try it your self. The source code and sample data can also be downloaded HERE. 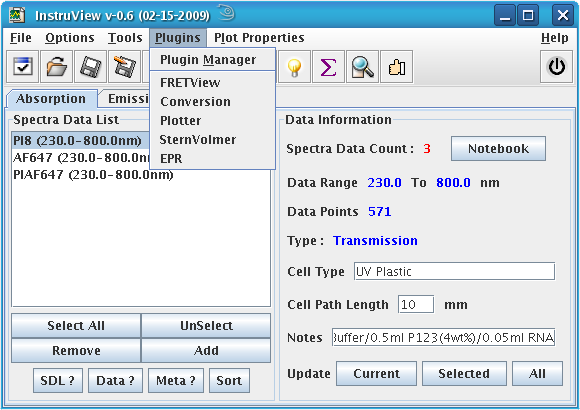 The main window with absorption data loaded and Plugin drop-down menu showing installed plugins. 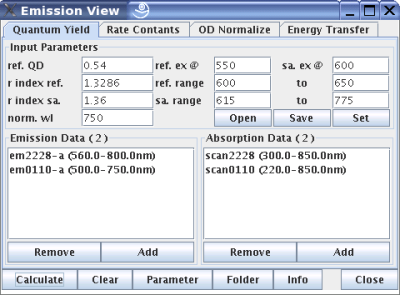 Dialogs to calculate quantum yield and perform simple data transformations. Dialog for fitting streak camera data. 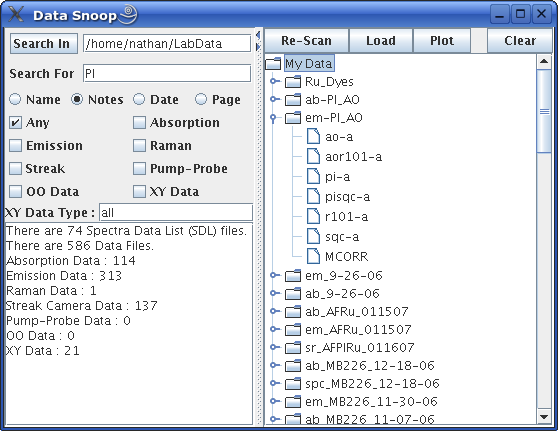 Data Snoop dialog for searching through data.